Do you see the difference between these two beauties? 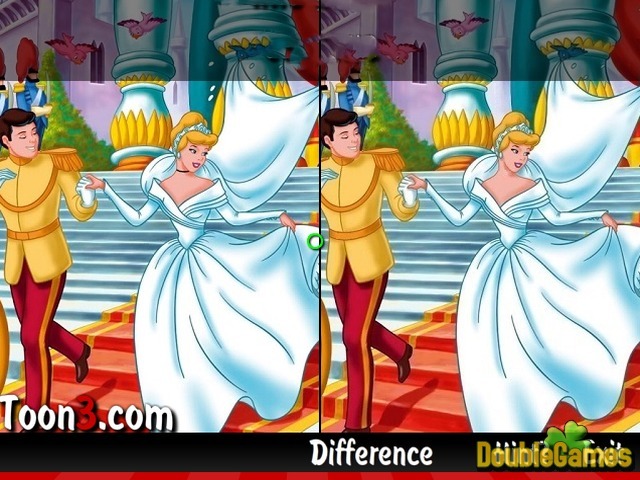 Find differences in five pictures of Cinderella and Prince Charming in their classic Disney cartoon, Cinderella. The picture on the left is the original and the picture on the right will have five differences. Though time is unlimited, the faster you do it – the better. If you can't find any differences, click 'hint', but use it only as a last resort. 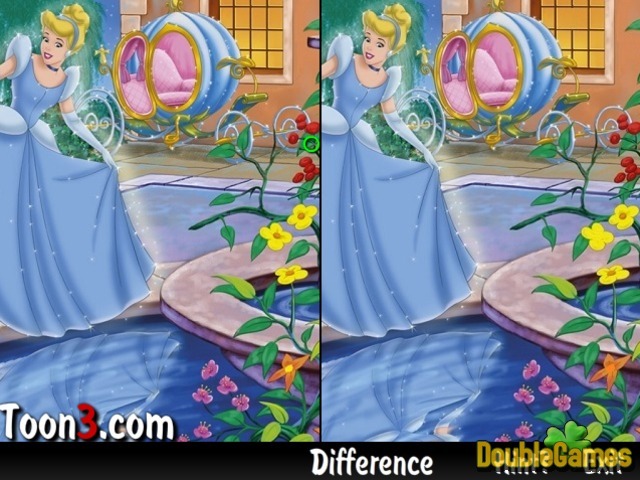 Find all five differences in five levels to win the online game Cinderella. See The Difference as fast as you can! Title - Cinderella. See The Difference Online Game Description - Don't pass by Cinderella. See The Difference, a Hidden Object game projected by Toon3.com. 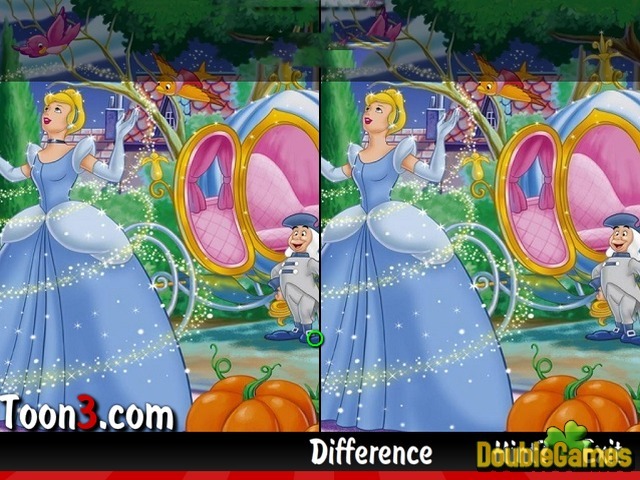 Spot the differences on the pictures from Cinderella online.